The majority of app developers, ASO agencies and app marketing consultants publish and promote apps both in the Apple App Store and Google Play. The biggest challenge that they, and our own ASO Consulting Team as well, encountered while doing App Store Optimization for iOS and Android apps was tracking changes and measuring results after every launch or update separately in App Store Connect and Google Play Console. The new AppFollow all-in-one analytics tool provides the capability to consolidate the data about Downloads, Page Views, and Impressions from two developer consoles in one dashboard — no need to constantly switch between tabs and create reports manually. 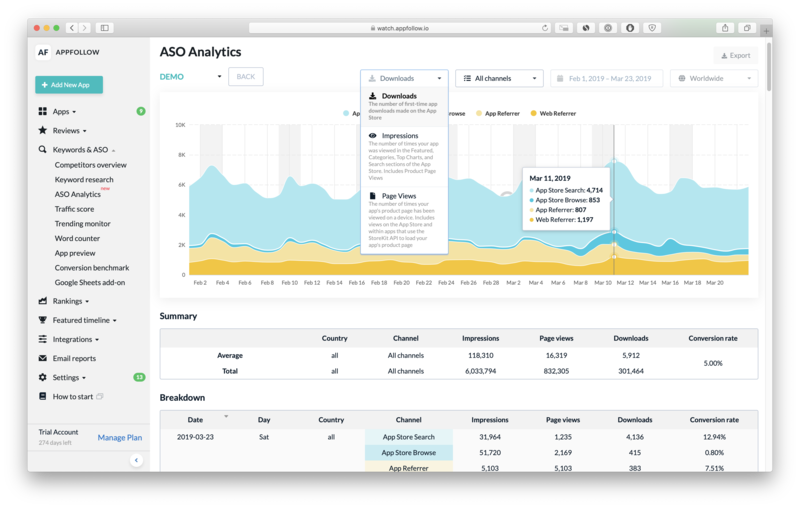 More than just saving time, the brand new ASO Analytics tool delivers accurate data about app performance in the App Store and Google Play and allows users to compare multiple parameters with smart filters. The tool makes it easier to efficiently analyze data from both app stores, create reports and plan further App Store Optimization activities. All you need to do is add both App Store and Google Play accounts to AppFollow. If you want to try the tool without linking your developer accounts, there is the tool demo available on the account linking page. and, of course, by Date and Country. We have also created an opportunity to get a Summary report for a selected period of time or check the Breakdown for each day and traffic channel. In case you would like to create your own charts and reports, you can export ASO Analytics tool data in the XLS/CSV format. If you would like to create your own dashboard using our API, here is how to do it. 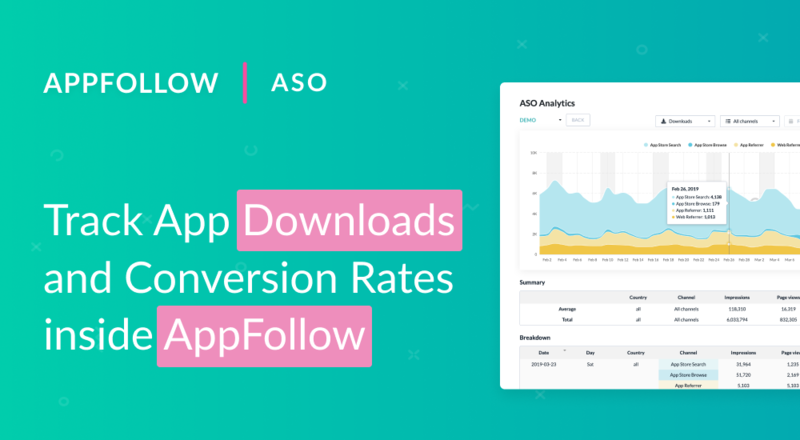 Try the AppFollow ASO Analytics tool right now! If you don’t have an AppFollow account yet, Sign Up and get 10 days Free Trial with full access to all our tools and features. We would like to hear your feedback about the tool, feel free to contact us via Intercom or Facebook Messenger in the left lower corner with your thoughts and suggestions for further developments. May the ASO be with you!